Abu Dhabi, United Arab Emirates, 3 October 2018: Etihad Airways has launched a contemporary airport lounge brand in partnership with No1 Lounges. 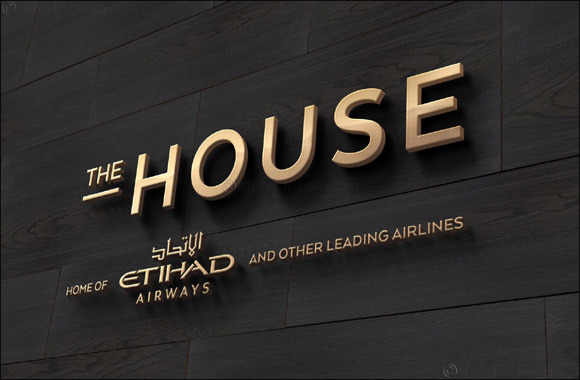 To be known as 'The House', the project is the result of a unique collaboration between the airline and the award-winning lounge provider, which will operate the new brand. Linda Celestino, Etihad Airways Vice President Guest Experience and Delivery, said: 'This is an innovative development for Etihad's international lounge offering. No1 Lounges stood out for their operational skill and expertise, and for their creative approach to Etihad's lounge needs. Phil Cameron, Chief Executive Officer, No1 Lounges, said: 'We have worked closely with Etihad Airways over the last year to develop a new brand which complements its world-class in-flight service, to modernise the lounge interiors and to broaden the lounge's appeal.